This track crosses the Kaiuma and Nydia Saddles and follows the sheltered shoreline of historic Nydia Bay. Formed by linking old bridle paths, it meanders through a variety of forests, some scrubland and farmland. The 27-kilometre Nydia Track is classified as a tramping track and is also open for mountain biking. It is well defined, though rough, narrow and uneven in places. It is a track suitable for those who are reasonably fit; boots are recommended. Some of the streams are not bridged and will require care after rain. No parking fees & no hassle finding a car park. We are local residents who live in Kaiuma Bay, we can give you the best advice & ideas to make sure your journey & stay on the Nydia track is a great one. 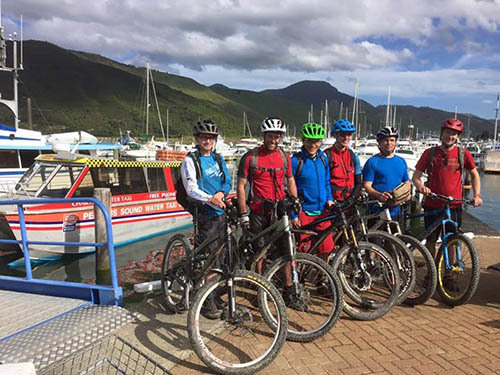 We also offer the option to Start at Opouri Saddle and ride the Opouri Bridle Track for an extra bit of technical downhill , or head into Duncan Bay and start from there. 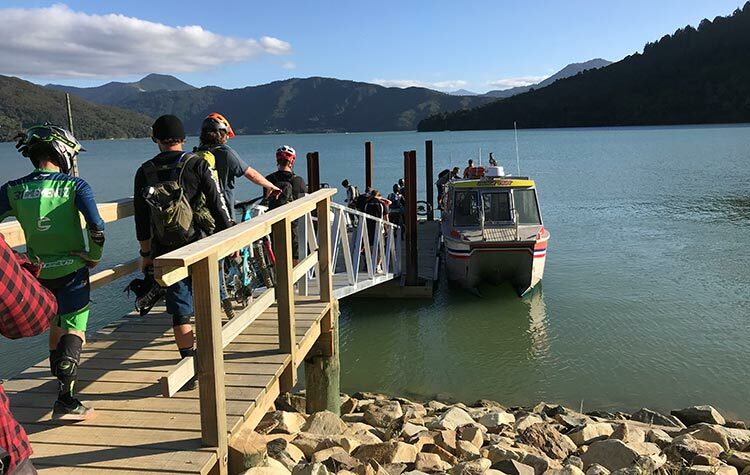 Our Water Taxi can transfer up to 20 passengers to Duncan Bay or drop you at Nydia Bay for the less ambitious in your group. We can also offer our services to other locations throughout the Pelorus & Kenepuru Sounds either by Shuttle Van or Water Taxi. Give us a call to discuss personalised options. This is a bike ride for those who like a challenge. The track is quite technical and rough, with many rocks and roots to negotiate. In wet weather it is very slippery and best not attempted. In places it is very narrow with steep drop offs. The track is best ridden north to south. Allow 5–8 hours; longer if you don’t have transport to both road ends. Contact us with your destination details and we can supply you with pricing details.